My first thought of a massive miss here was Saturday Night Fever; imagine my surprise to discover that it’s actually based on a non-fiction article. Beyond that, the movies I’d be most likely to want to add are the type that don’t get nominated. The head of that list is The Hills Have Eyes, which certainly isn’t an Oscar movie. Neither is Suspiria, which, honestly, doesn’t really excel in the script department. Eraserhead was almost certainly too weird for the Academy, something almost certainly true of Wizards as well. The two that I think are the most likely to be considered snubs are The Last Wave and, most especially Close Encounters of the Third Kind. Seriously, if I could add one, it would be that one in a heartbeat. 5. 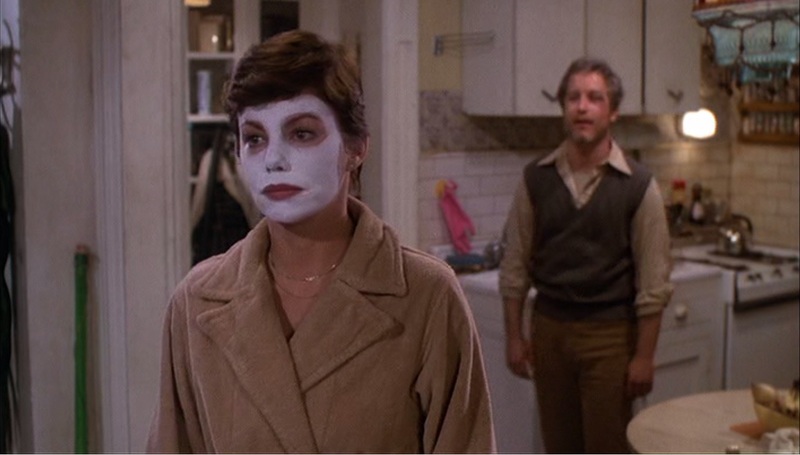 I don’t like The Goodbye Girl at all. I don’t like the story and I really don’t like the characters. In fact, this movie might be solely responsible for the reason I’ve never really taken to Marsha Mason as an actress. Like it or not, the characters that we are presented with are a massive part of the screenplay and the responsibility of the writers. Such unpleasant characters are entirely the fault of the script. How this got here over Close Encounters is beyond my ability to understand. 4. The Late Show is one of those films that I liked well enough, but that fails for me entirely because of tonal problems. It really wants to be a modern film noir and it’s partially successful in that. It also really wants to be a parody of the style. The two things it wants to be come into conflict, though. It’s possible to do both (The Big Lebowski did it), but it simply doesn’t work in this case. 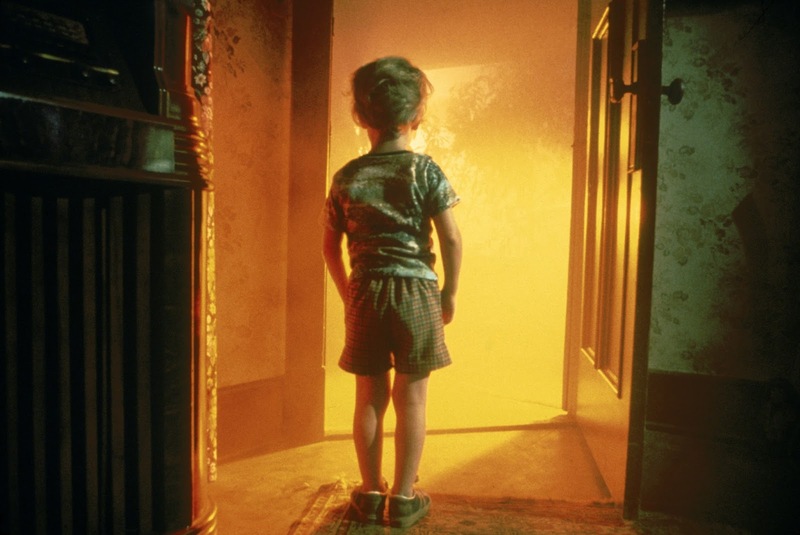 I liked it well enough, but it’s certainly not a better screenplay than Close Encounters. 3. I was completely surprised by The Turning Point, which is one of those movies that is a little more forgotten than it should be. It’s also one of those rare films that was nominated for a boatload of Oscars and didn’t win any. Where it succeeds is that rather than being a movie about ballet dancers, it’s a movie that is about people who happen to be ballet dancers. That’s a subtle but important distinction, and it’s one that The Turning Point plays to its full advantage. It may not be a great movie, but it’s a good one and it has good, fully realized characters. 2. There’s no question that the child in me votes for Star Wars here and for pretty much every other award for which it was nominated. The adult in me can’t quite get there, though. It’s completely inventive and fun, creating an entirely new mythology. Except that it kind of doesn’t. In very real ways, Star Wars is a classic Western poured into science fiction clothing. That doesn’t stop it from being a great movie, or an influential and seminal one in just about every way possible. But let’s be serious here, Lucas tends to have problems with his dialogue. 1. No, Oscar got this one right. 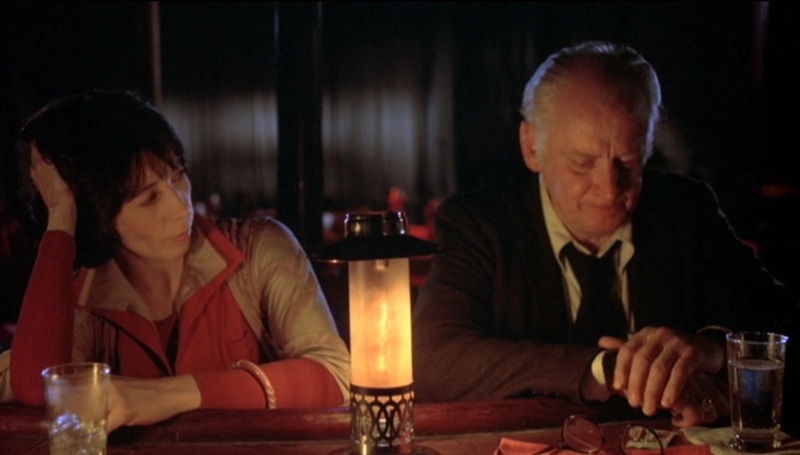 Annie Hall isn’t my favorite Woody Allen movie and not my favorite of his screenplays (that would be Radio Days), but it’s clearly one of his best and most interesting. 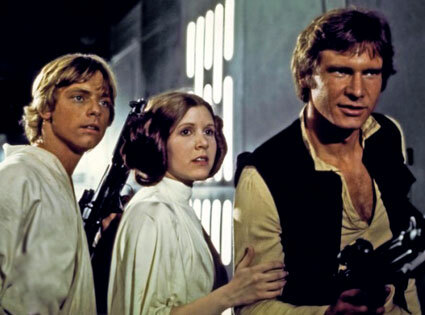 Star Wars is a pivotal movie in a lot of ways, but so is Annie Hall, and it still has lasting effects on the industry. In an open field, I’d put Close Encounters in second place with Star Wars in a very close third, but Annie Hall would still be my winner. I've mentioned before that I was 13 in 1977, and I saw Star Wars about ten times before the end of the summer. But I was already a Woody Allen fan from watching his early funny ones on late-night TV. Like Sleeper and Take the Money and Run and What's Up Tiger Lily? And my mom was a Woody Allen fan as well! So we also saw Annie Hall in the theater. Twice! I wasn't really paying much attention to the Oscars when I was 13, but I do remember thinking it was cool that Star Wars was nominated for Best Picture ... and I don't remember being disappointed that it lost to Annie Hall. Now it's forty years later and I haven't seen Star Wars for quite some time (though I did watch The Empire Strikes Back within the last few years) and I still watch Annie Hall every two years or so. And the script is one of the top elements that makes Annie Hall so memorable and my favorite Woody Allen movie. 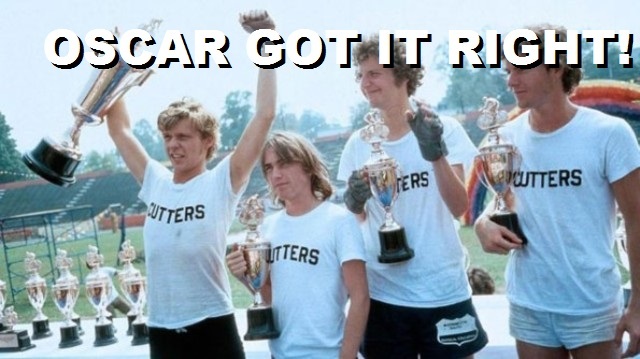 So, yeah, Oscar rarely got it so right. I was 9 when Star Wars was released. I saw it multiple times. The next summer, when I was 10, it played for literally the whole summer at the local second-run theater. I saw it literally every Saturday for the summer of 1978. I vaguely knew who Woody Allen was. Naturally, I was sad when it didn't win Best Picture. For as little as I knew about the Oscars, that was the only thing I cared about. These days? Well, things are different. The thing that amazes me about the Star Wars screenplay, especially having read earlier drafts which are available on line, is how much it got the delicate balance of jargon, technobabble and realism right. Creating a new world with alien names, technology, places, and history is difficult to do without veering into cheesiness. Star Wars nails it. There really isn't anything that comes across as goofy or "unrealistic" within its fictional universe. Contrast that to later-day Star Wars where many things come across as goofy (Darth "Maul", really?) and unrealistic. Not saying that Star Wars should have won in 1977, but it's a fantastic screenplay. You're right about that, but in terms of the actual layout of the story, I'm not sure Lucas went anywhere new. Keep in mind that that I love Star Wars enough that I saw it nearly two dozen times in the theater. Like you my heart is with Star Wars. 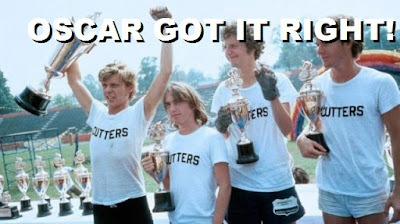 It is THE MOVIE of the 70s, as far as those that shaped my childhood go. However, it's a movie the succeeds on the basis of many, many things, the screenplay just being one of them. On the other hand, Annie Hall really only has two elements on which to rely: the screenplay and the acting. And it nails both, so I'm okay with it getting the win. This is pretty much where I am. I'm never surprised that Woody Allen is in the running for original screenplay because so many of his screenplays are that good. 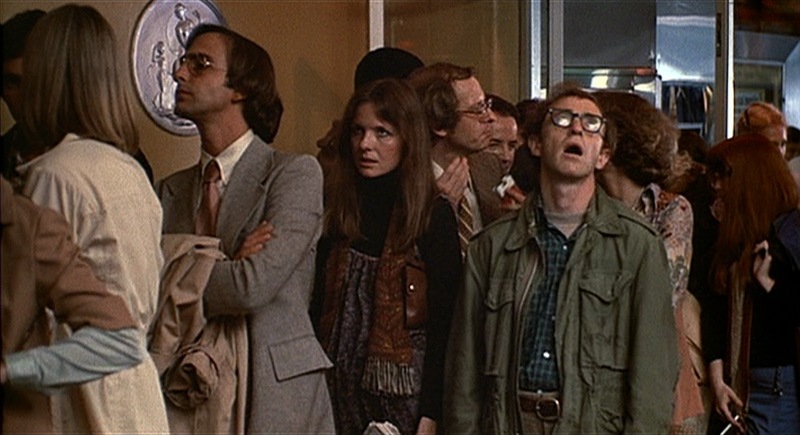 Annie Hall is one of his best, and with him, that's giving it some real praise. However, I don't own Annie Hall on Blu-ray and I don't feel compelled to watch it all the way through if I skip past it while channel surfing. Star Wars will always be one of those movies for me.